Documents – in both paper and digital form – have a life of their own. The degree to which they can make work simpler/harder depends on the tools and solutions available. 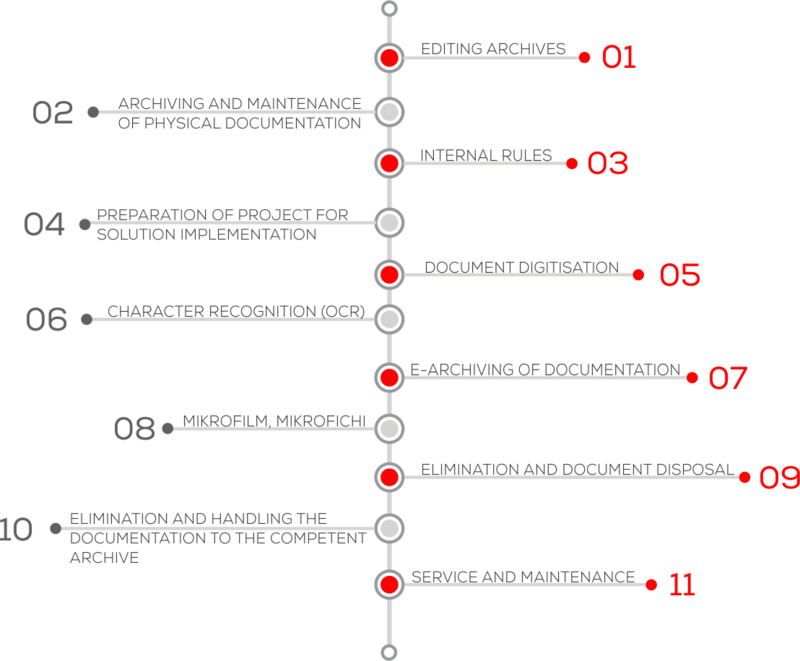 The services provided by Mikrografija can cover the entire life cycle of various types of documents. When you think of working with documents, think of Mikrografija. We can help you organise the process of aligning your document operations with the legislative requirements and various regulations, and provide services of advanced scanning, capturing and digital/physical storage of documents. In addition, we offer extraction and reliable disposal of documents or, alternatively, selection and handing of the documents over to the competent archive. All of our services have been certified and are subject to regular checks by the Archives of the Republic of Slovenia in addition to being effective, safe and provided in a highly professional manner.